Chinese Premier Li Keqiang also met with Wickremesinghe Tuesday. Li said the two countries should deepen cooperation in trade and investment, infrastructure building and production capacity. China is willing to work with Sri Lanka to steadily push forward the construction of Colombo Port City, Hambantota Port, and logistics and industrial parks in accordance with market and business principles, said Li. The Chinese premier urged Sri Lanka to create a good legal, media, policy and security environment for implementing the projects. 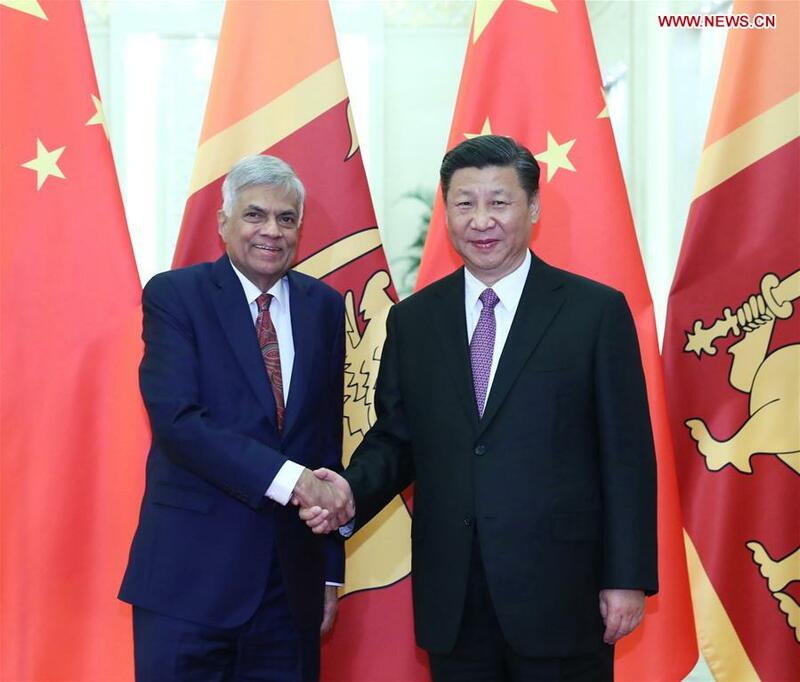 Wickremesinghe said his country is ready to closely coordinate with China to create a favorable environment for Chinese companies to invest in Sri Lanka. Sri Lanka will also speed up the construction of those key projects, and strengthen production capacity cooperation with China to facilitate Sri Lanka's industrialization and regional connectivity, Wickremesinghe said.